This favorable review of Jane Peterson’s first solo show in 1909 marked the beginning of the artist’s long exhibiting career. 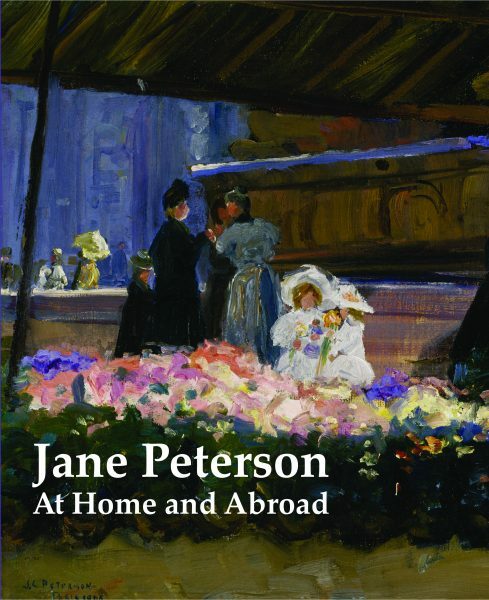 Celebrated for her colorful paintings of festive subjects, Peterson’s vibrant images provided a vital link between the impressionist and expressionist movements in American art. This volume presents eighty-eight of Peterson’s paintings, examines them critically and traces the artistic life of this intriguing woman. Both critically and popularly acclaimed in the first half of the century, the dominance of abstraction afterwards caused her star to diminish. Largely forgotten by the time of her death in 1965, the essays by Dr. Arlene Katz Nichols and Dr. Cynthia Roznoy shine a light on Peterson—her life and her art—and return her again, to the public eye.